Another lovely crisp cold morning in Glen Torridon. 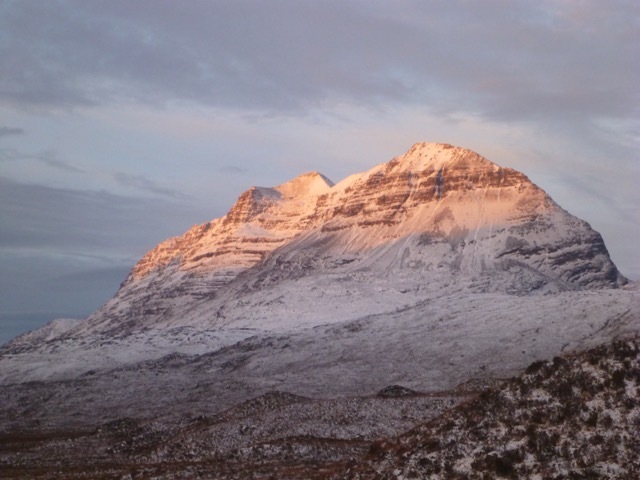 A sun tinged Liathach above. There is lot less snow in the Torridon area as it was in the rain shadow of the hills to the north when this recent snow arrived. 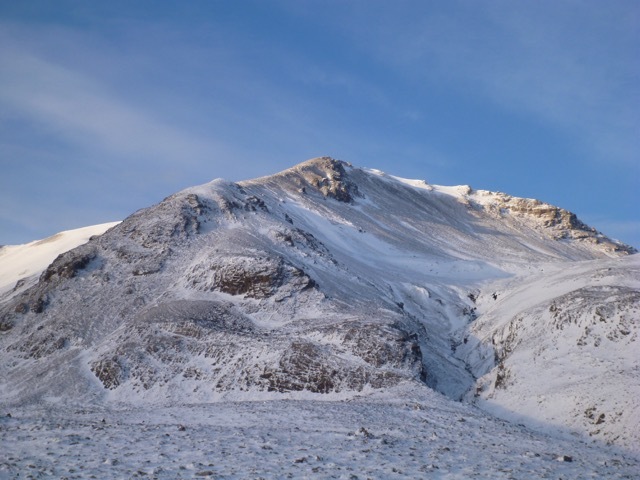 The wind scoured slopes of Creag Dubh at the Eastern end of Beinn Eighe above. 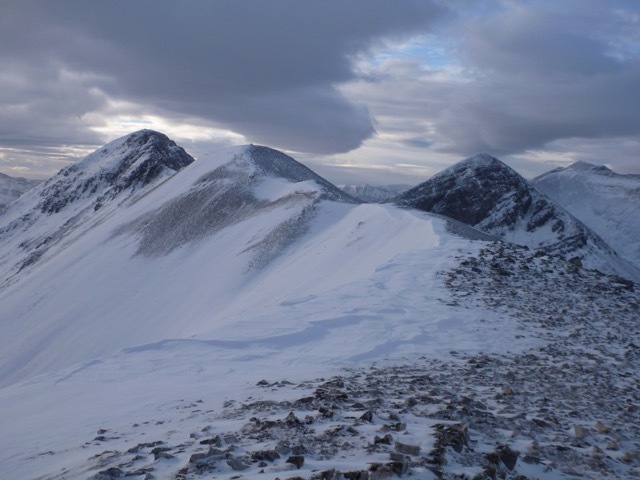 Looking along the Beinn Eighe ridge to the Black Carls from Creag Dubh. Wind scoured on the North side with some deposits of well-bonded slab on South and East aspects.